Father of the National Parks John Muir once said: “Come to the woods, for here is rest. There is no repose like that of the green deep woods.” A walk in the woods of mixed deciduous forest in Hainich National Park—spread over 5,000 hectares in Germany—undoubtedly gives you the much-needed time with self and a dose of knowledge. Mighty old trees grow in harmony with new ones in this forest that is among Germany’s largest forests and enjoys the tag of UNESCO World Natural Heritage Site list. Nature rules and nurtures itself on its own here. When trees fall they are not taken away but remain within the park to let them play their role in the natural ecosystem, and it is the beauty of Hainich. An interesting addition to Hainich is the canopy walk. Started in 2005, this 500-metre tree top walk begins at 10 metres above the ground and goes up to 24-meter high. This allows visitors to walk among the trees instead of craning their neck upwards to look at their huge canopies. But enjoying the beauty of the park is not for those who hate walking because in this eco-friendly park only bicycles and wheelchairs are allowed in the name of vehicles. The walkway is made of oakwood and at regular intervals there are wooden sculptures of the fauna found here. A short obstacle ropeway is a break from walk for the adventure lovers. While beech is the most common tree that grows in the park, the chequer tree is a rare sight. The primeval beech forest—home to diverse flora and fauna—offers mesmerising views of the Thuringian Basin. A rare sight is spotting a wildcat, the symbolic animal of Hainich. Even seasoned rangers may get to see one once in three years and that too for three seconds. 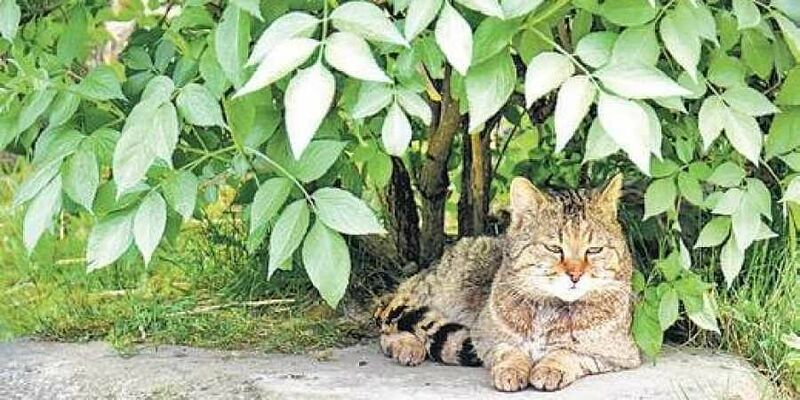 But at Huetscheroda, the wildcat village nearby, visitors can get to see four of them. The village tour starts from the information centre, a former barn for wildcats. Apart from the canopy walk, there are other walking trails to discover the secrets of the park. For herb lovers, the trail goes along an area covered with wild garlic. If you are a hiking enthusiast, don’t miss the hiking trails. In short, this park has something to offer to the traveller—the silent observer, the knowledge seeker, and the nature lover—in you.